Due to the design and technology of our system, we can generally offer an accurate price for a wireless alarm system in Ayrshire simply by asking a few questions. For your Free Quotation please complete the form below. Once submitted our security specialist will reply to you as soon as possible with your quotation. Thinking of having an alarm system installed in your Ayrshire home or business? You’ve come to the right place – Alpha has years of experience in the supply and installation of security systems. Our security specialists can answer any questions you may have and offer sound advice on the right security system for you. In this section of our website we take a more in-depth look at the various elements of an intruder alarm system and offer our advice on why you should have your home or business protected by an Alpha Fire and Security burglar alarm system. Intruder Alarm Systems have been around for many years, simply because we want to protect what is ours, and our professional burglar alarms offer the cost effective way of doing this. 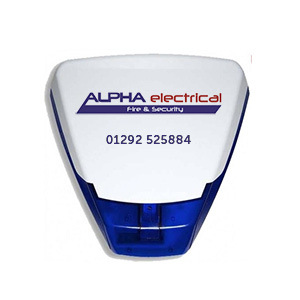 Since 2003 Alpha Fire & Security amassed both knowledge and experience and has designed, installed and maintains many Intruder Alarm Systems in Ayrshire and beyond. Intruder alarm equipment we regularly install. Usually installed discreetly, the control panel is housed in either a metal or plastic casing and central to any alarm system. All devices are wired back to the control panel including the Keypad(s). Remote keypads are aesthetically pleasing and are installed in an easy access location, usually close to the main entrance. 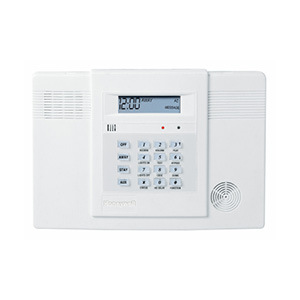 Keypads allow control of your alarm by entering a 4 digit code. Some keypads give the option to use proximity tags (where you would simply present your fob) to set and unset your system for additional ease of use. External Sounders (Bell boxes) are installed on the outside of a building and act as a deterrent to would be thieves. Our standard external sounder provides high security featuring LED back lights for a good level of visibility at night. It also has comfort alternate flashing LEDs, tamper protection and includes battery backup. Have a look at our standard bell box, you’ll know it’s not a dummy sounder. Internal sounders are available and are small unobtrusive units that can be a great addition to your system and can be installed out of sight. As the name suggests motion detectors are installed within rooms in a building to detect movement. Various technologies are available in motion sensors, from basic PIR detectors suitable for most basic rooms, to dual tech detectors that are more suited to warehouses, garages, conservatories, etc. There are also commonly used detectors designed especially where there are pets in the home. Generally motion sensors are fitted to a wall at a specific height for optimal performance and coverage. Shock sensors are designed to detect the vibrations created by someone trying to enter your property through a door or window. 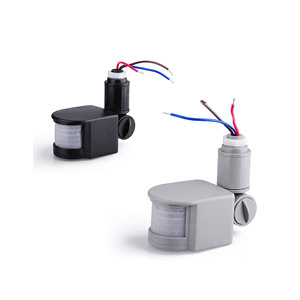 Usually installed on the frame of a window, shock sensors are also available with built in door contacts for additional security. Formerly, shock sensors where always a good option if you had pets, however nowadays they are not required to the same extent due to innovations in pet friendly detection and the inconvenience of cabling to sensor position. The technology used in wireless alarm systems has changed considerably for the better. Ease of use, a host of features with quick, no hassle, cable-free installation time, makes wire free burglar alarm systems the popular choice for many home and business owners. Wireless alarm systems have improved radically in recent years. Wire free alarms now use a dedicated radio frequency to avoid any potential interference. The wireless alarm system which Alpha installs in Ayrshire won both the Security Excellence Award in 2012 and the PSI Premier Award in 2013, making it arguably the best wireless security system available on the market. Traditional 4 pin digit code entered at the control panel. Additional keypad can be installed at a more convenient location in your property. Currently, the keypad has to be wired, however a wireless keypad is in production. Proximity tags can be presented at the panel. 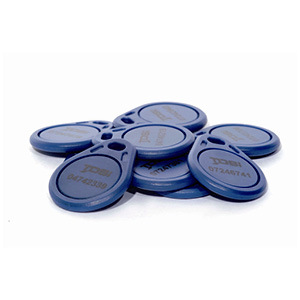 4 button hand held fobs can be used for on, off and part set with combination of presses able to be programmed for other features such as panic alarm. Due to the nature of our wireless alarm system we are able and confident enough to provide an accurate cost for the system just by asking a few simple questions. If you are interested in our wireless alarm system installed by Alpha Fire and Security then please complete our online quotation form and we will give you a cost. Since 2003 Alpha Fire & Security amassed both knowledge and experience and has designed, installed and maintains many Intruder Alarm Systems in Ayrshire and beyond. Some of the intruder alarm equipment we regularly install. The brains of the wireless alarm system is our high security compact two way wireless burglar alarm control panel. Two way wireless technology is a vital part of the system that keeps it safe and reliable. Each device on the wireless system is a transmitter and a receiver, offering a status reading at both the control panel, and the wireless device. The system has an impressive 32 wireless inputs and 2 wired zones, built in proximity reader, up to 80 user codes, 750 event log memory and works on 868MHz transceiver FM technology. The remote keypads are aesthetically pleasing and are installed in an easy access location, usually close to the main entrance. 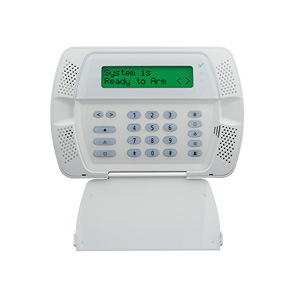 Keypads allow control of your alarm by entering a 4 digit code. 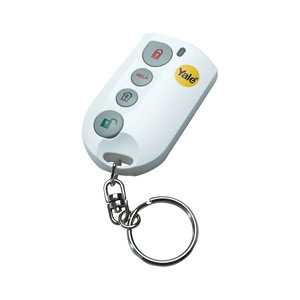 Some keypads give the option to use proximity tags (where you would simply present your fob) to set and unset your system for additional ease of use. 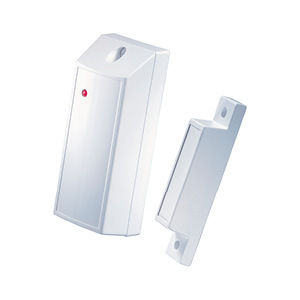 Wireless door contacts are available for the wireless alarm system work in the same way as hard wired door contacts. They are installed one part on the door and the other part of the door frame so that when the door is closed they meet within their operational gap. If the system is set and the gap is broken then the alarm will activate. The wireless external alarm sounder looks identical to our wired version. The only difference in appearance is the lack of the back light feature to reduce battery usage. The bell box is completely wireless and includes battery, tamper protection, sounder, strobe and comfort flashing LED’s. The sounder is ideally installed outside your property in a visible position. These devices work in the same way as door contacts with the added benefit of also being a shock sensor. More suited to windows than doors, the shock sensor will activate when it detects vibrations created by an attempt to enter your property through a window. If the window is prized open then the contact part of the detector would become active and sound the alarm. These devices are available in white and brown finishes. The optional wirefree setting fobs available for our system make setting the alarm extremely easy by simply pressing one button to set the system, and another to unset the system. The impressive working range of the fob does not require close proximity to the system when setting. The additional buttons can be programmed for various functions of this system. 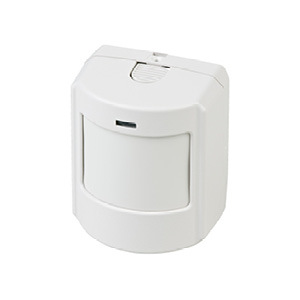 There is an extensive range of motion detectors available for our wireless alarm system. Most commonly used is the standard PIR detectors and pet friendly PIR detectors. Also available in the series are both standard and pet friendly dual tech detectors for areas such as garages, conservatories and warehouses; long range detectors covering up to 25 metres and curtain PIR detectors where a solid field of detection is required. 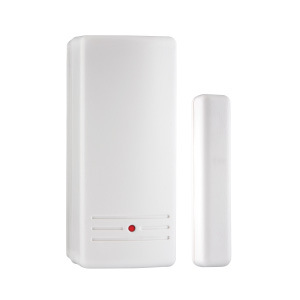 Proximity fobs can be used with the wireless alarm system and are available as an optional extra. Proximity fobs offer another simple method to set and unset the system by simply presenting the fob to the control panel. Each fob is programmed into the system and can be useful if you have someone check on your home while on holiday or possibly for staff use in business premises. 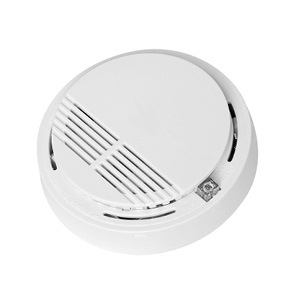 Smoke detectors are a sensible addition to any alarm system as they fulfil the vital role of protecting you, your family and property, or your business and staff from the risk of fire. As with all the wireless devices offered by Alpha, the benefit of wireless smoke detectors can be added at any time, without any disruption. Each fob in use is programmed into the system; of particular use when a friend or neighbour checks your home during holidays or for staff access to business premises.